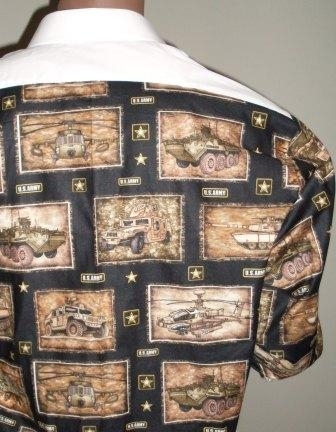 We offer fabrics for all military branches. If you would like to have your squdron image on your shirt, call for details. We offer free shipping to military service members as an appreciation for your service. Type in "miitary" in the promo box while you're ordering (valid only on orders more than $95). For orders $200 and over type in 'military10' and receive 10% off the total order.